First Series: 1999 - 2009. 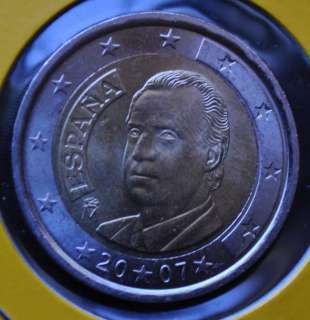 Twelve stars (4 of them incuse) surround the portrait of King Juan Carlos I, engraved by Luis José Díaz. ESPAÑA incuse at left and Crowned M below, ★ 2 0 ★ 0 7 ★ below between stars. 2 on the left-hand side, six straight lines run vertically between the lower and upper right-hand side of the face 12 stars are superimposed on these lines, one just before the two ends of each line, superimposed on the mid - and upper section of these lines; the European continent is represented on the right-hand side of the face. 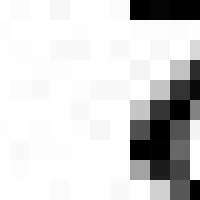 The right-hand part of the representation is superimposed on the mid-section of the lines; the word ‘EURO’ is superimposed horizontally across the middle of the right-hand side of the face. Under the ‘O’ of EURO, the initials ‘LL’ (Luc Luycx) of the engraver appear near the right-hand edge of the coin. Showing re-designed map of a second type. 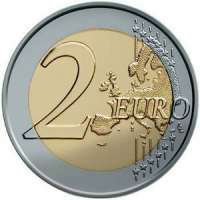 As the EU's membership has since expanded in 2004 and 2007, with further expansions envisaged, the common face of all euro coins from the value of 10 cent and above were redesigned in 2007 to show a new map.